One of the things I've been meaning to practice for awhile is accurate piecing techniques. That hasn't happened. Who has time to practice? I'm so much more of a jump right in kind of girl..if it works, awesome, if it doesn't, well, I'll use the messed up block for something else someday. I'm sure I've improved just by doing my own thing, even looking through my past year of quilts has shown me that. But I'm ready to move to the next level, whatever that is. 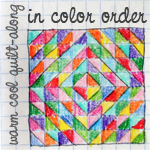 So I joined the Craftsy Block of the Month. I plan on doing both 2012 and 2013 at the same time, with an personal goal of practicing accuracy and technique. 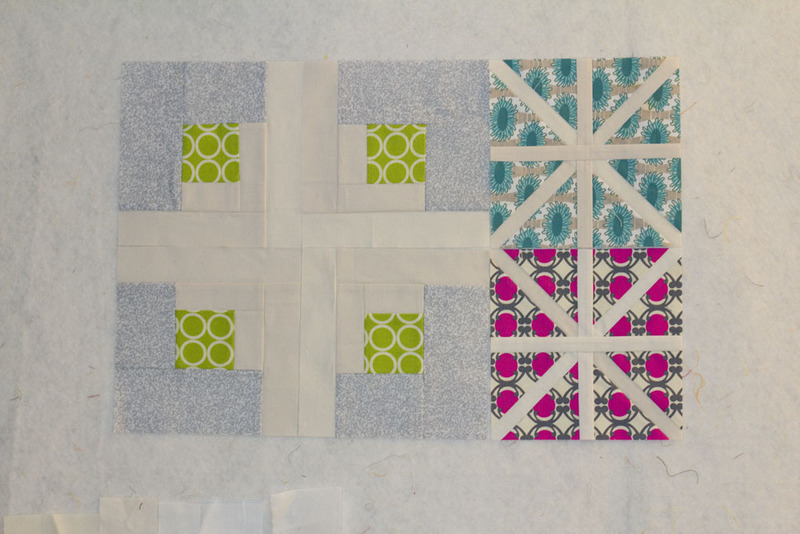 I'm doing both 2012 and 2013 so I can make a decent sized quilt, plus some of the blocks in both are not to my liking. Some blocks will probably be altered a bit from the patterns, so they fit together better, but also because I am completely incapable of following directions. Seriously. Its bad. 2013 on the left, 2012 on the right. I didnt change much in the 2013 blocks, except I wasnt paying attention to ironing directions. I ironed towards the center, and I should have ironed away from center. 2012 is a different story. I shrunk the blocks to a 6in finished instead of 12in, and made the white strips 1/2 in finished instead of 2 or whatever it was. I also had a hard time ironing the second set of strips towards the dark, so the first set are ironed towards the dark and the second set towards the light. I also decided to do two astericks instead of the wonky pound sign - not a fan. all 6 blocks use scrap bin whites (hopefully all konas, but some poly-cotton sheet bits may have snuck in...) I love the subtle shifts when using random whites! Hopefully it will all come together in the end.